In the summertime our grill is used regularly, there is just something great about preparing food in a grill. You get this particular grill taste to the food and the entire area has this nice grill smell. Whether your are in your backyard, on your apartment balcony or at the beach, food made on a grill is just great. 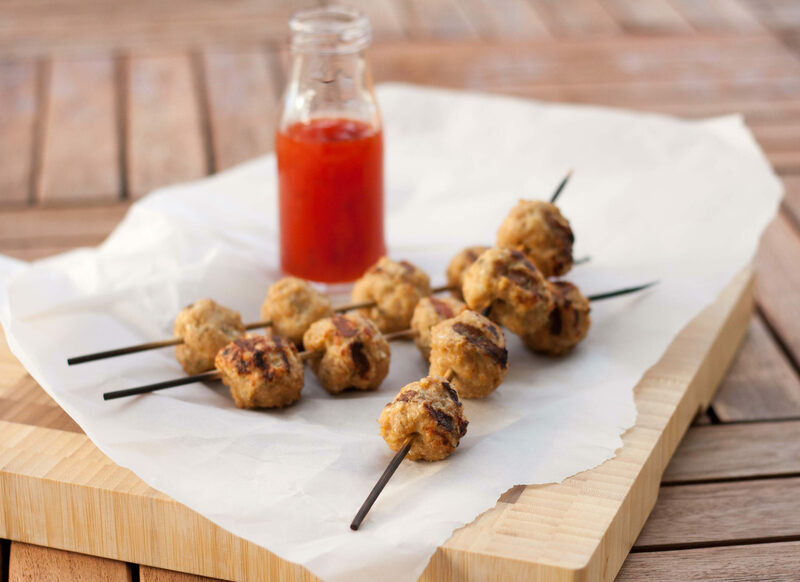 In this page I have listed one of my favorite grill recipes, small grilled chicken meatballs on wooden sticks. 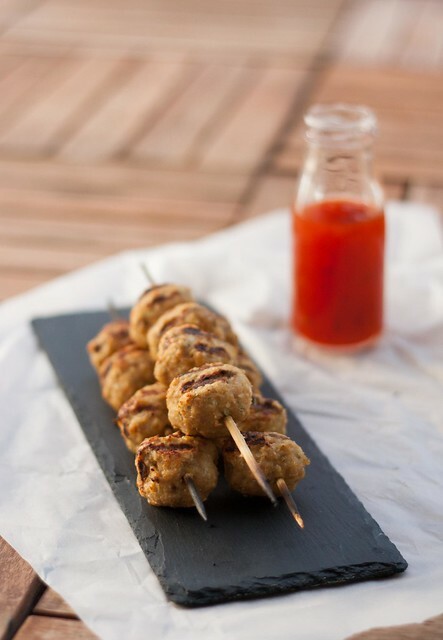 These meatballs are very simple and easy to prepare and goes perfectly together with some bread and a salad. This dish is very healthy and can be made in under one hour. 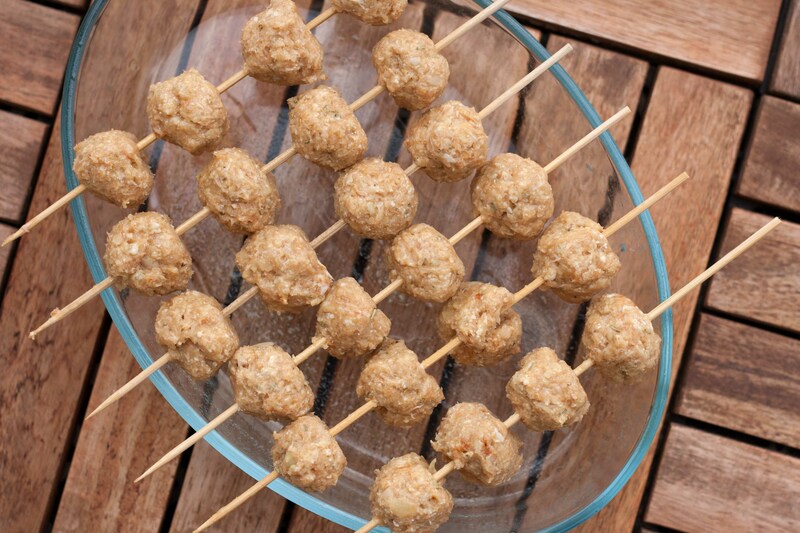 The small meatballs are loved by kids and are great as a pre-snack if you are waiting for the main dish to be done. 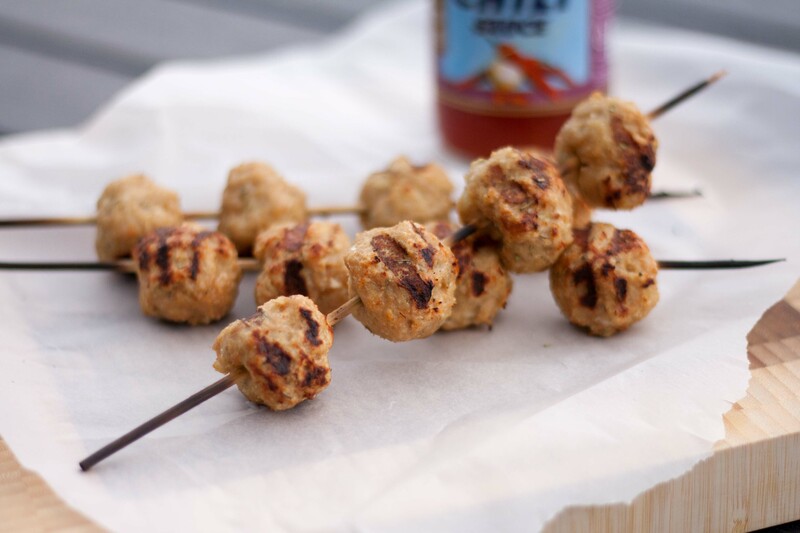 If you do not own a grill you can fry the chicken meatballs in a sauce pan or in the oven. Step 1: Place the wooden sticks in a bowl of water (15-20 minutes). This will prevent the sticks from burning when you grill the chicken meatballs. Step 2: Mix all the ingredients in a large bowl. Add some salt, rosemary and chili powder as your prefer. 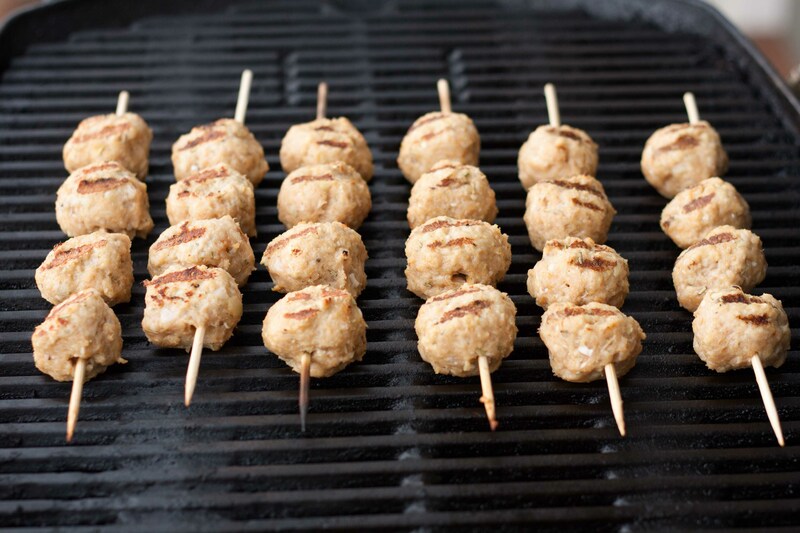 Step 3: Shape the meat into 30 small balls and put 3-4 balls on each wooden stick. Step 4: Grill the meatball sticks approximately 4 minutes on two sides. 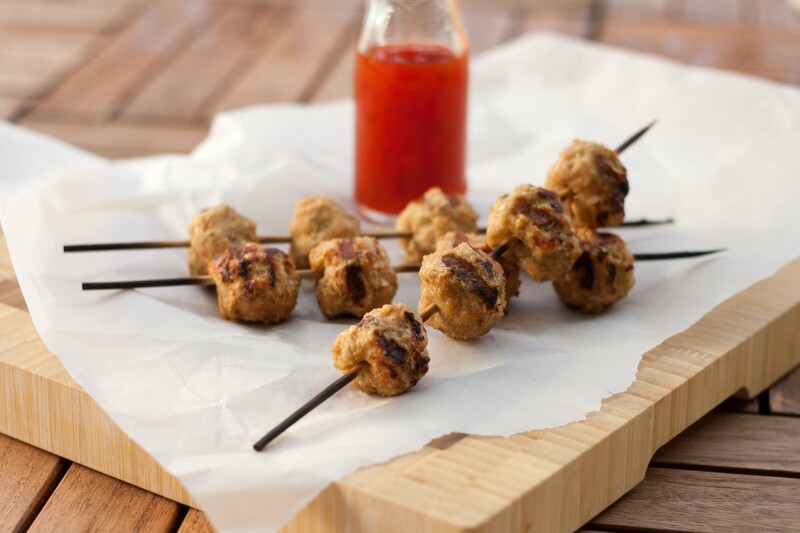 You can also fry the meat balls in a saucepan or in the oven.